The Hon. Sharon Holmes was sworn in as the first female black judge in Tulsa County. Photo by Dan Morgan. 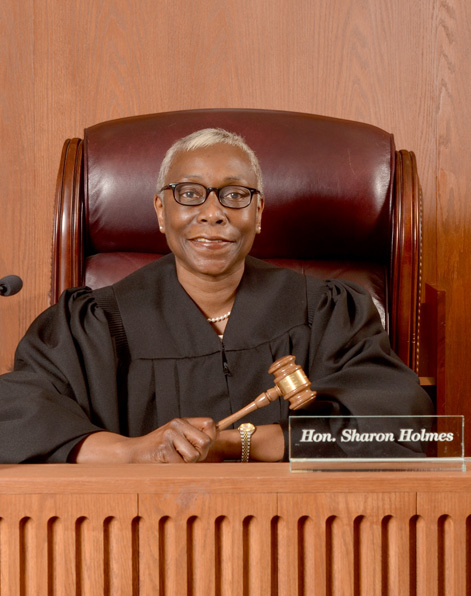 Judge Sharon Holmes took an unlikely path to becoming the first female black district judge in Tulsa County. Holmes received her bachelor’s degree on an ROTC scholarship and then spent six years in the Air Force on the security police force. After being stationed in Montana and two tours in Germany, Holmes decided it was time for a different phase of life. “I decided to focus on being a mother,” shares Holmes. 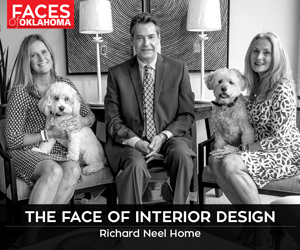 Inspired by a friend years earlier, Holmes enrolled at Oklahoma City University in 1996. She graduated three years later and went to work for the Tulsa County District Attorney’s office as an assistant D.A. In 2003, Holmes ventured into private practice. This past November all that changed. In a few whirlwind months, that idea became a reality. She filed to run in February 2014 and was officially sworn in on Jan. 12, 2015. Holmes believes her unique position and life experiences allow her to help those in great need who enter her courtroom. “People typically look at the criminal system as the worst, but there are successes that come out of it,” says Holmes. “The position I am in now gives me a little more authority to get them the resources they need. As a woman and a mother, Holmes prefers to utilize alternative services rather than a prison sentence, where appropriate. When she takes off the robe, Holmes educates youth on the judiciary process. Many of her friends and family feel she is a role model for women. Her life motto is if you want something you can get it by working hard. “You don’t always have to do things in a traditional way,” encourages Holmes.